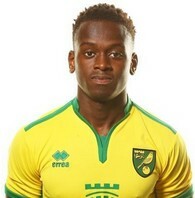 Diallang Jaiyesimi continues to impress at Norwich City with another goal for their U23 squad in their latest match in Premier League 2. The attacking midfielder was on target as the Canaries beat Newcastle United 2-1 at Whitley Park on Monday. The 17-year-old Jaiyesimi tapped in at the far post to equalize for Norwich in the 56th minute, and almost made it 3-1 but his shot struck the underside of the crossbar and bounced to safety. This season, he has also found the back of the net in matches against Wolves, Aston Villa, Everton and Fulham. Norwich City signed Diallang Jaiyesimi from Dulwich Hamlet on a permanent deal in January 2016.